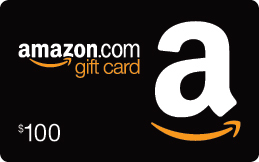 Earn $100 Amazon gift card as compensation for your time and expertise. We are looking for professionals working in Billing, Collections, IT, and Customer Experience to share their opinions and insights, specifically for business and C&I customer segments. We will use this feedback to increase the value and efficiency of B2B digital invoicing software. Your input will help improve what we deliver to our customers today, and to shape planned products in the most useful way. Please complete the form if you are a qualified individual that would like to participate in our survey.